The Christmas Concert took place this past Sunday afternoon and it was a beautiful show bringing together multiple choirs at the Academy. 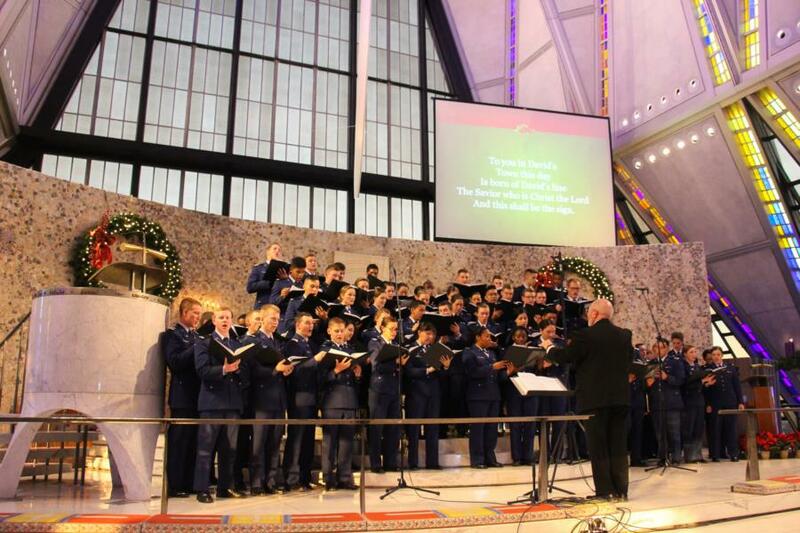 The LDS Cadet Choir performed, "Jesus, Once of Humble Birth" and "O Come, O Come Emmanuel." 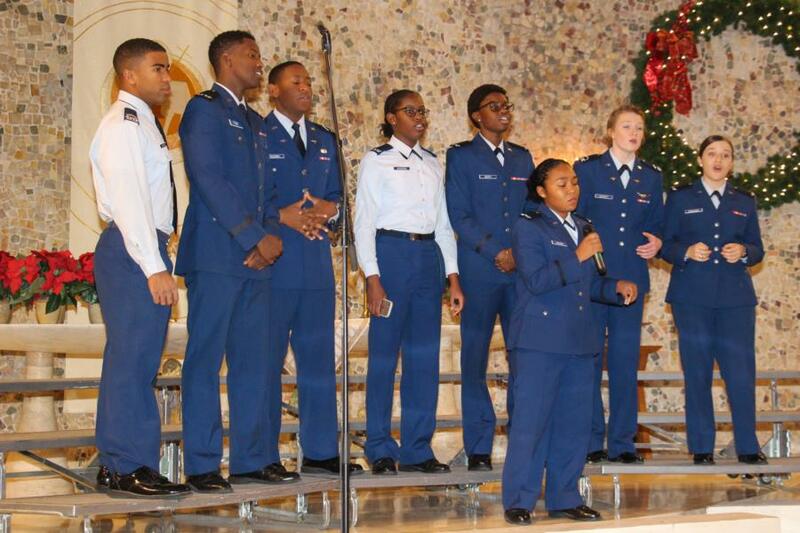 The Gospel Cadet Choir performed, "Go Tell It on the Mountain" and "O Come, O Come Emmanuel." 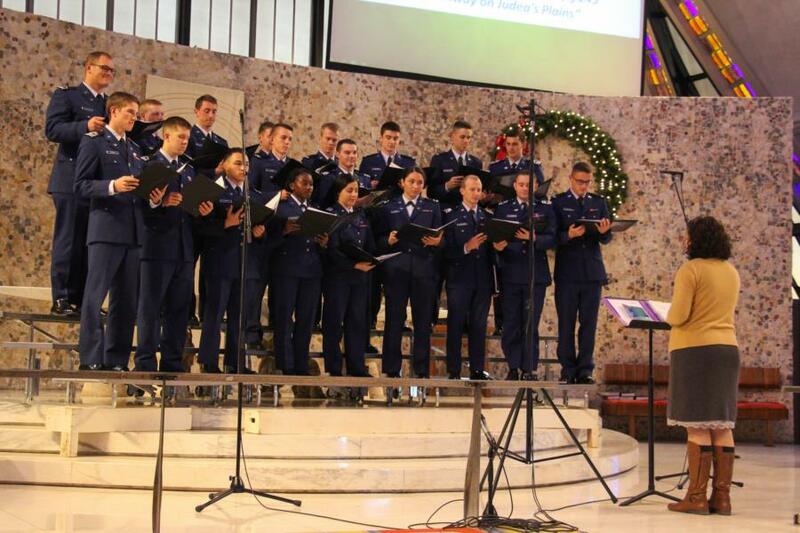 The Protestant Cadet Choir performed, "Lo, How a Rose Is Growing" and "Mary Did You Know?" 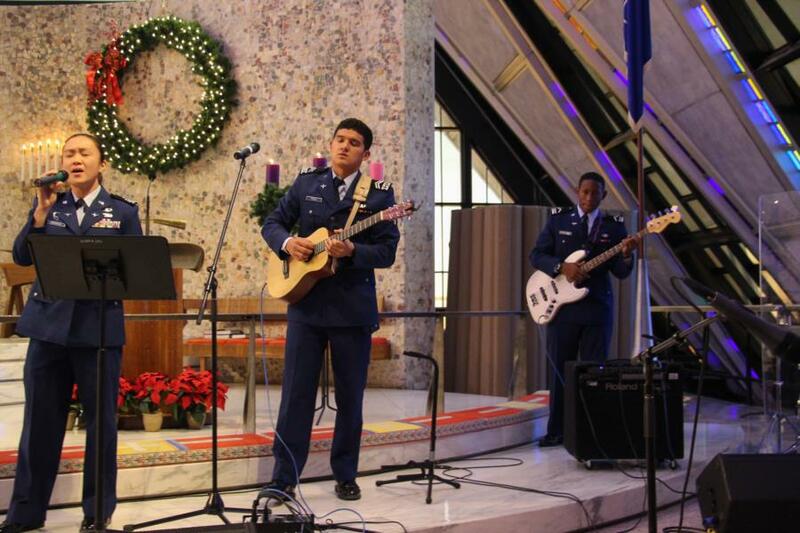 The Protestant Cadet Praise Team performed, "The First Noel" and "Joy To the World." The Cathholic Cadet Choir performed, "Processional: Veni, veni Emmanuel," "Ave Maria," "The First Noel," and "Good Christian Men Rejoice." And finally all of the choirs came together at the end of the concert and performed, "And On Earth, Peace," "Sherburne," and "Do You Hear What I Hear." Below is a glimpse into some of the performances from the concert, enjoy! 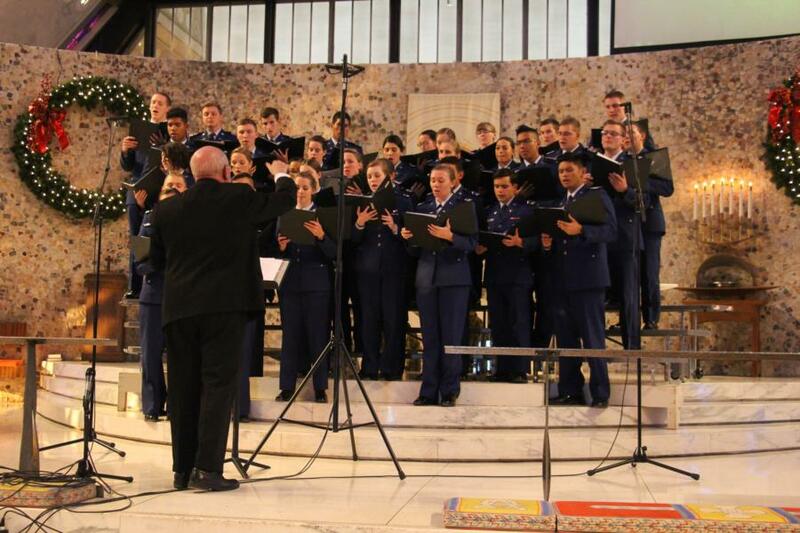 To view the rest of the pictures from Sunday's Cadet Chapel Christmas Concert go to; Galleries - Extracurricular - Cadet Clubs. Or click the link below.